Babcock-Davis, a trusted name in the commercial construction industry, specializes in providing commercial building products. Architects, specifiers, general contractors, and distributors rely on the Babcock-Davis product line for a quality product with hassle-free fulfillment. Babcock-Davis provides strong, safe and reliable floor doors for all your applications. 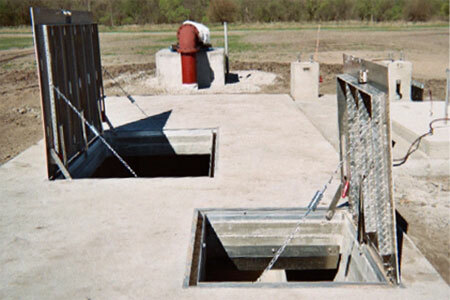 Floor Doors, utilized in sidewalk businesses provide safe access to below ground storage, without disruptions. When shut, the system reliably transforms back to concrete-strong sidewalk coverage. When you walk on Babcock-Davis floor doors, you take a step with confidence and have our support. Babcock-Davis provides exactly what you need and where it’s wanted, with full support along the way.